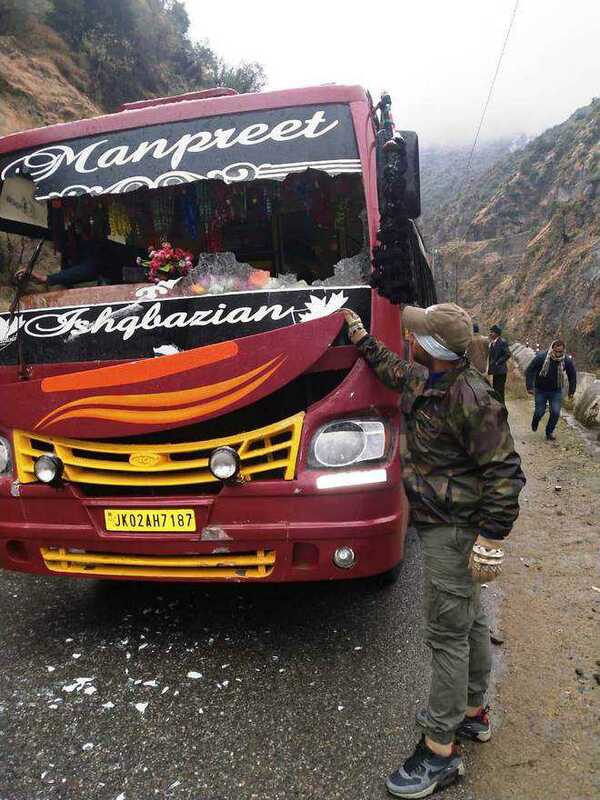 A number of passengers aboard two buses had a miraculous escape when the two vehicles were hit by landslides while passing through the Assar and Raggi Nullah areas of the Batote-Doda-Kishtwar national highway on Thursday. “A bus was hit by landslides in Assar. Its windshield was completely damaged resulting in minor injuries to the driver and a passenger. The landslides hit another bus in the Raggi Nullah area but no one was hurt. Both buses were going to Doda from Jammu,” Deputy Superintendent of Police (Traffic), Doda and Kishtwar, Zohaib Patigaroo said. Snowfall has put life out of gear in the Chenab region in the past 12 hours due to closure of link roads and snapping of power supply in many areas. Four mud houses were reportedly damaged in the district but no one was injured.